Calling this a "unique kitchen" might be an understatement. 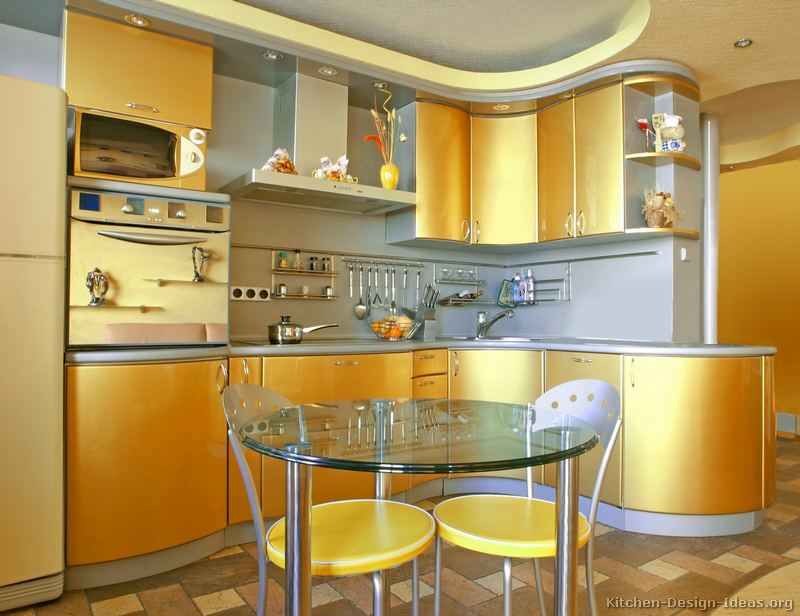 This modern gold kitchen boasts glossy curved cabinets, a gold colored refrigerator and microwave, a reflective gold oven, and a gray-blue backsplash with built-in accessories. The glass kitchen table doubles as extra prep space in this compact kitchen layout. 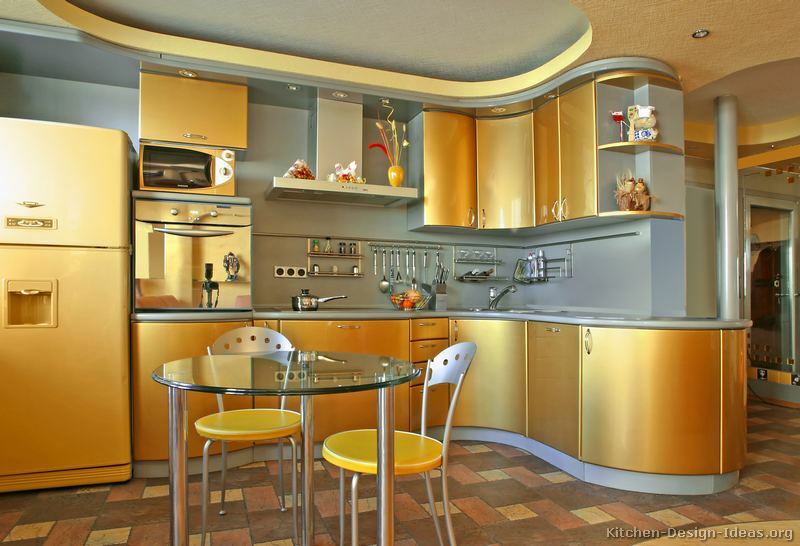 You won't need the Midas touch to reach your valuables in this golden kitchen. With its efficient European design, everything is within easy reach, from the corner sink to the cooktop and oven. Various spices, utensils, and cleaning supplies are positioned at the ready on the backsplash storage racks.